The businesses of today have a responsibility to take care of the environment, and luckily, they can do this while saving money. For example, many of the eco-friendly methods will offer businesses tax deductions, decreased charges and more money. Regardless of the initial investment, the money you save in the future will save you more in the future. 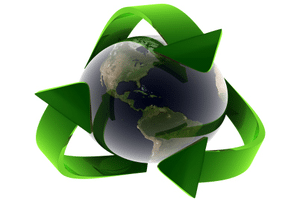 What can business owners do to become more environmentally friendly? First, cut the unnecessary waste out of the office. You can do this with managed print services because it will show you where you are bleeding money. Second, purchase products that offer greater efficiency. If you have an old copier from back in 2005, you could be severely limiting the amount of money saved in energy consumption. These high-efficiency products will translate into direct savings for your business. Also, flip off the lights when possible. While it may sound like a simple task, you would be surprised how much you save at the end of the month in energy consumption. If your absolute goal is to be more conscious of the environment, you can do this with some of the latest energy efficient products.